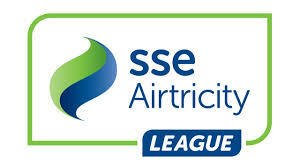 The long wait is over and the SSE Airtricity League is back. The Irish supporters who have been on a diet of TV football for the past couple of months, can now look forward to getting back out to the grounds and enjoying the live action close up. In both the Premier and First Division’s we have had a couple of rounds of games already. The clubs have finished pre season and now all of their hard work will be laid out in front of their supporters. The one thing that sets this league apart from any other league in Europe in my opinion are the fans. Their loyalty to each individual club they support is top class, as this would not be the top sport in Ireland and sometimes you often wonder are there games on. It is not very often you will fans who are not affiliated to one club or the other turning up at games, the neutral fan is very rarely seen around the SSE Airtricity League grounds. That to me is a shame because some of the games can be exceptional. In the opening couple of rounds of the season we have seen some beautiful football and quite a few surprise results. I know it is very early in the season, but a quick look at the table tells you who the movers and shakers will be this season. Cork City top the league and last week went to champions Dundalk,s home patch and won, with a 69th minute penalty from Sean Maguire. Saint Patrick’s Athletic, Shamrock Rovers and Derry City have started well and it is a nice tight bunch following the leaders. The result of the season so far has to be Cork City,s six one demolition of Longford. Cork manager John Caulfield has worked very hard with his new look squad and they are the ones to beat at the moment. So where do I see the title going this year ? . I feel this season is going to be a three horse race between Cork City, Shamrock Rovers and Dundalk who all have the squads to mount a challenge. Shamrock Rovers have prepared so well this season they even took in a pre season tour of India to play a couple of games. I have no doubt it will be a huge task to replace Dundalk as champions which in turn will lead to a great couple of months ahead. There is one other interesting story doing the rounds at the moment involving Shamrock Rovers. It has been rumoured that West Ham United co owner David Sullivan is part of a consortium looking to invest in the South Dublin side. It would involve the consortium investing at least three million euro and use the club as a feeder club to the London side. It is great to hear that there is consideration been given to clubs within the SSE Airtricity League, but I feel the great Shamrock Rovers will struggle to get themselves in the likes of this sort of investment that would lead to them been a feeder club. We will just have to wait and see what unfolds over the coming weeks with that story. One thing is for certain that if the league is promoted in the right way it might lead to other investment ideas, that is what is required to bring the league to the World.